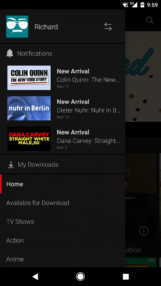 If for some reason you haven't received the update, you can download the latest version of Netflix from APKMirror. 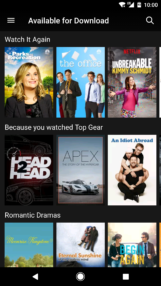 If there's one feature that people have been clamoring for Netflix to add more than any other, it's offline viewing. 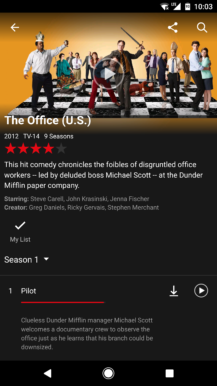 It seems like the lords of Netflix have finally heard our prayers, as Netflix has just added the option to download and watch content without an Internet connection. 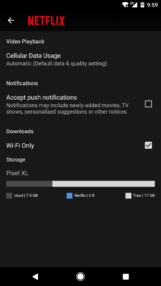 I've already received the update to the Netflix app on my Nexus 6P and the experience seems to be pretty solid. 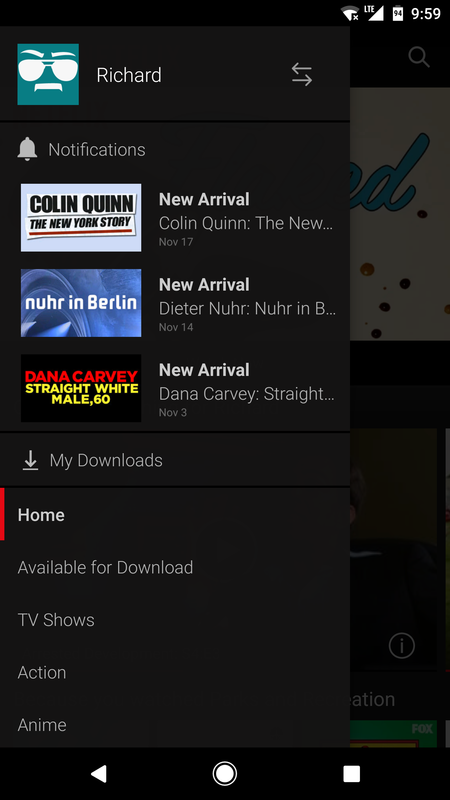 In the hamburger menu, there's an option to access "My Downloads" near the top. 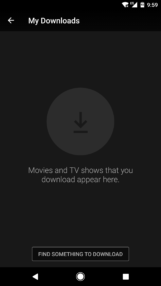 Clicking on that will, predictably, bring you to all of the videos you've downloaded, and hitting "Find something to download" will bring you to a comprehensive list of the content available to download. 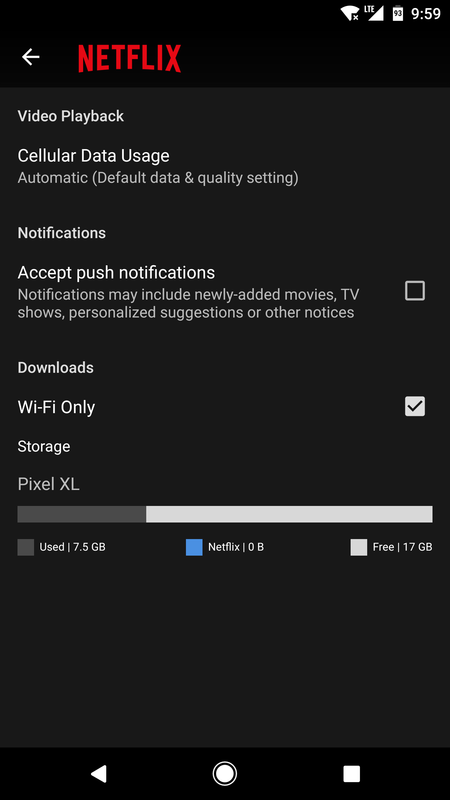 In addition, Netflix has added an option to enable/disable WiFi only downloads (you'll probably want to leave this on unless you have unlimited data) and a storage bar where you can see how much internal storage you've used, and how much of that is from your Netflix binging. Both Netflix's iOS and Android apps are already receiving updates to support this feature, and a Fire OS update is coming soon. All Netflix users are eligible, regardless of plan level and which country you live in. 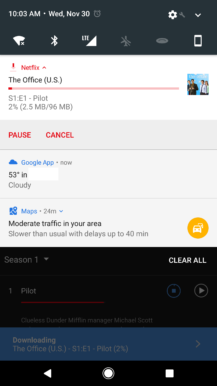 If you have a flight to catch soon, you may still be able to download a movie or a few TV episodes quickly.